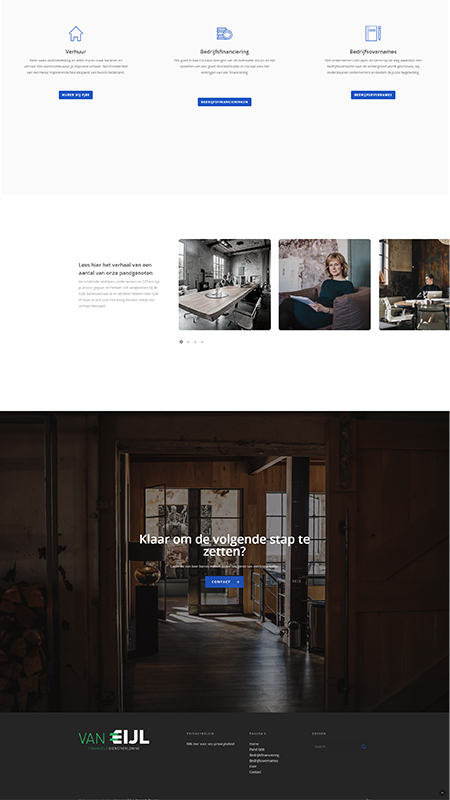 Van Eijl – Visual / UI & UX Design. Located in the old Douwe Egberts building FJ08 in Joure, van Eijl B.V. has been providing financial assistance for years and offers entrepreneurs the opportunity to take the next step. 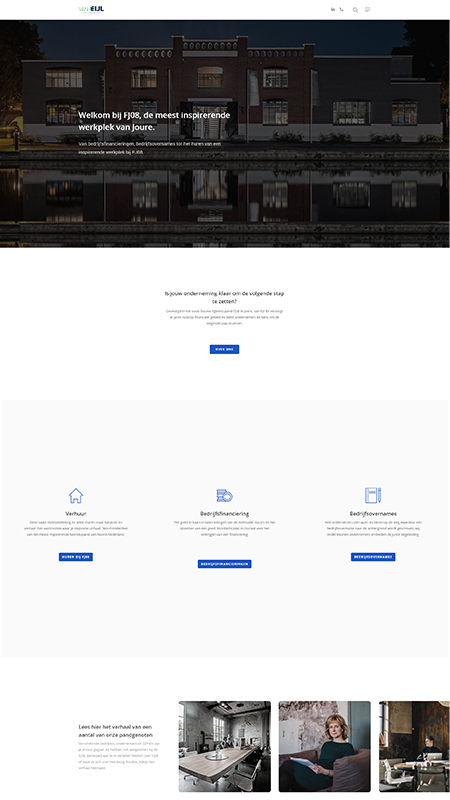 During the project I worked on the Visual / UI design aspect of the website as well as making it as clear as possible to showcase the true beauty and character of the unique location in which van Eijl is located. Visual / UI & UX Design. Designing and creating a website which portrays necessary information in an aesthetically pleasing manner while showcasing the beauty of the location. The website is fully responsive and works on desktops, tablets and mobile. Van Eijl, based in Joure, Friesland. Clean and focused on conveying the proper information in an aesthetically pleasing manner. Photography done by Lisa van Eijl photography.